Photo of: West of Ireland: Galway: Connerama: Lough Inagh. A very stormy day over Lough Inagh in the Connemara National Park. The Three Bens (or Three Pins) mountains are to the left of the image and the Maamturk (or Maumturk) mountains to the right. 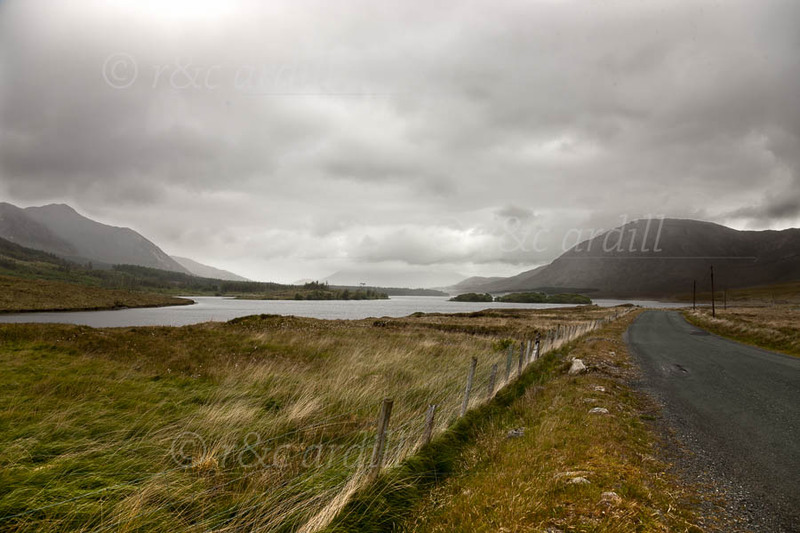 The whole of Connemara and Mayo to the north are exceptionally beautiful - but the Lough Inagh pass is certainly one of the most beautiful.